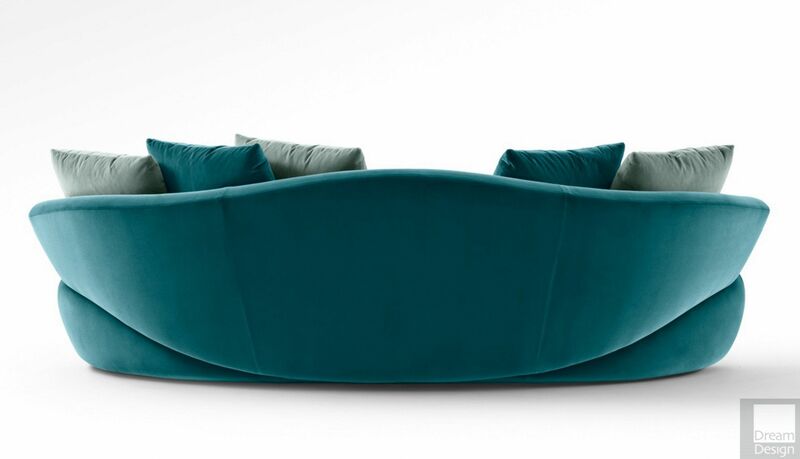 Giorgetti Solemyidae Sofa - Please be aware that colours and textures may vary from your screen to the product. If in doubt, please contact us. Solemyidae is a small sofa that is welcoming and full of character. 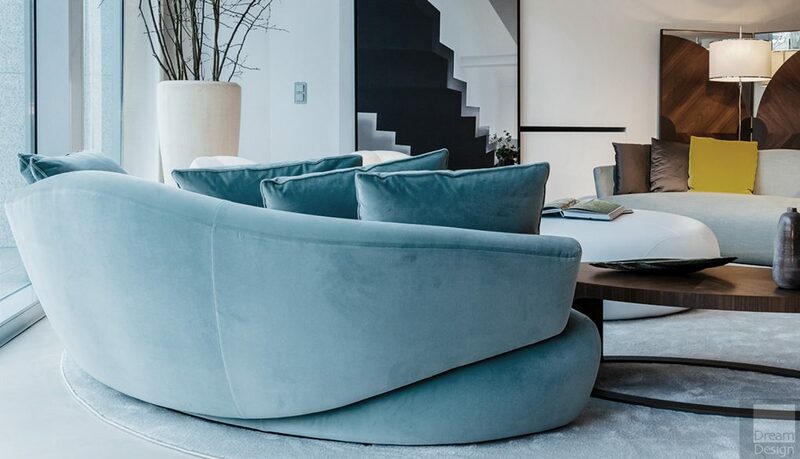 The shaped, anatomical and comfortable frame is inspired by shells, hence the name Solemyidae, the line of which clasps the seat as though to close it. To create a cosy corner in a large sitting room or to design a special area dedicated to relaxing. Solemyidae is in fabric or leather in one colour or in two colours. There are also matching round stools available, in two sizes. The structure in profiled steel and the padding in coldfoamed polyurethane covered with fibre. Solemyidae is available with, or without five backrest cushions which are in goose feathers and matching fabric. 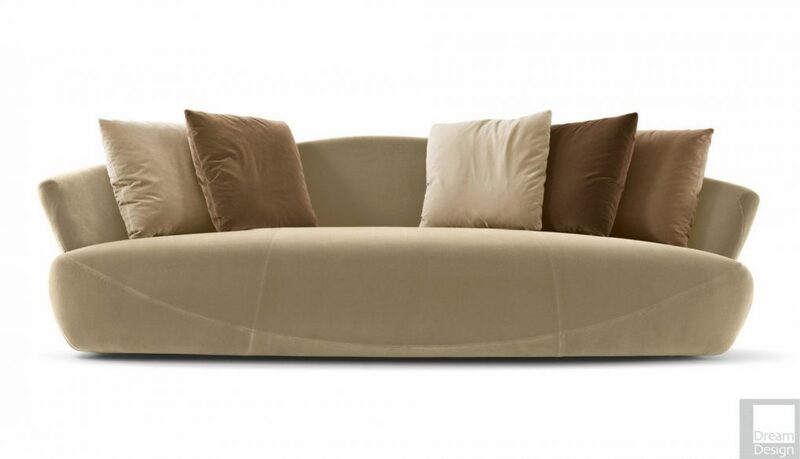 There are other fabrics and leathers available for the Solemyidae Sofa – please contact us for details.